A man charged with attempted murder after a machete attack in Rustington has died in prison, the prison service has confirmed. Finlay Finlayson, 54, was in HMP Lewes after the Christmas Eve incident in Lawrence Avenue, Rustington, in which a 46-year-old man was injured. 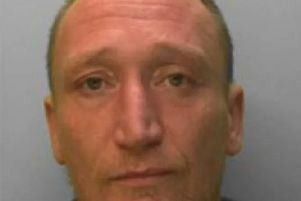 He was due to appear at Portsmouth Crown Court for a pre-trial preparatory hearing on Friday. However, a spokesman for the prison service said: "Finlay Finlayson who was on remand at HMP Lewes died in prison on January 25, 2019. "Our thoughts are with his family and friends at this difficult time. Mr Finlayson was shot with a rubber bullet by armed police following the incident on December 24, and was charged with attempted murder and two counts of possession of a knife. At the time, a neighbour - who did not want to be identified out of fear of persecution - said they felt 'shocked to know something so dangerous was happening right on their doorstep'. He was then remanded in custody at the Lewes Prison, and had not entered a guilty or not guilty plea before he died. A spokesman for the Prisons and Probation Ombudsman has been approached for more information.